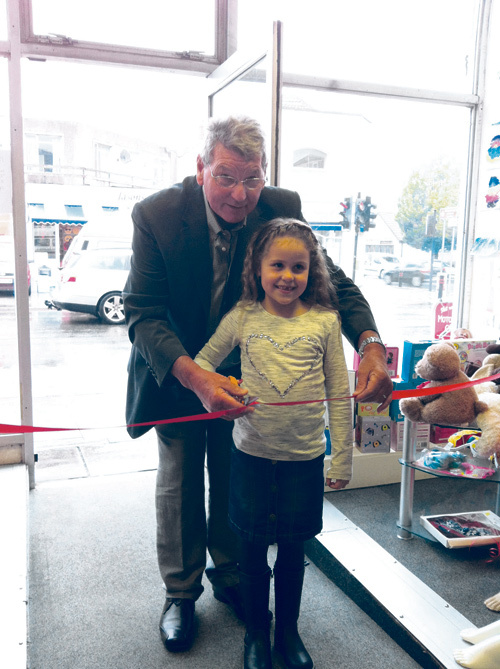 SEVEN-year-old Abigail O’Inn cut the ribbon to formally open a new charity shop in Staple Hill. She was the winner of a painting competition at Staple Hill Primary School, which attracted 43 entries. Her prize included a ride in a Rolls-Royce and lunch. The shop is run by Bristol Area Cardiac Support, which has raised more than £510,000 for local hospitals in 24 years. This has come from concerts and other events and from its first shop in Lodge Causeway, which opened 20 years ago. Both shops are staffed entirely by volunteers - and co-ordinator Gill Filer would very much like to hear from anyone who’d like to join the team. The charity began as Frenchay Hospital Cardiac Support Group, formed by grateful patients who wanted to give something back to the NHS. It changed its name following Frenchay’s closure. Members have also raised £25,000 for Great Western Air Ambulance.